Train your sales force to find more opportunities, close more businesses, and improve sales performance. to achieve great results from their sales teams. Your sales team needs training that sticks. We've designed our training to create sustainable change in sales behaviors and improve results. Our training programs are not single events, but part of an overall sales training system that will help your team produce better performance. 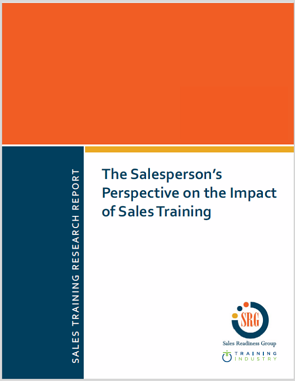 Get key insights into the salesperson's perspective on the impact of sales training. In our new study the 2018 Sales Training Research Report conducted in collaboration with Training Industry, we survey 287 B2B sales professionals to explore how much they value the training they received. Download this complimentary report to better understand the business impact of sales training and to adapt your program(s) for increased effectiveness.